If you are a student at a different college or university, there is no charge to transfer credits to your school. Through the Wilderness Leadership and Experiential Education (WLEE) program, Mt. Hood fosters the skills and education necessary to produce competent outdoor leaders, guides and teachers. To learn more about the wilderness program and the school's other offerings, visit their website. These downloads contain important information to help you prepare for your course. You must be present and engaged for the entire course to be eligible for certification. Be prepared. Thoroughly read the student handbook as it provides detailed information about expectations—yours and ours—what to bring, wear, and how to study. Please contact our office with any questions. In order to register for the class, you need to become a MHCC student. Register as a "general student" when you complete the application. After you submit your application, the college will send you a student ID via email. When you receive your ID, email Josh Stratman and request to be added in the class; include your ID number. Continue on Frontage road past first stop light to 257th Ave.
Continue on 257th Ave to MHCC. Entrances are on the LEFT just past Stark St.
Classroom: The classroom is on the Main Campus in Gresham, OR and held in the Physical Education Building/Gym room 104. 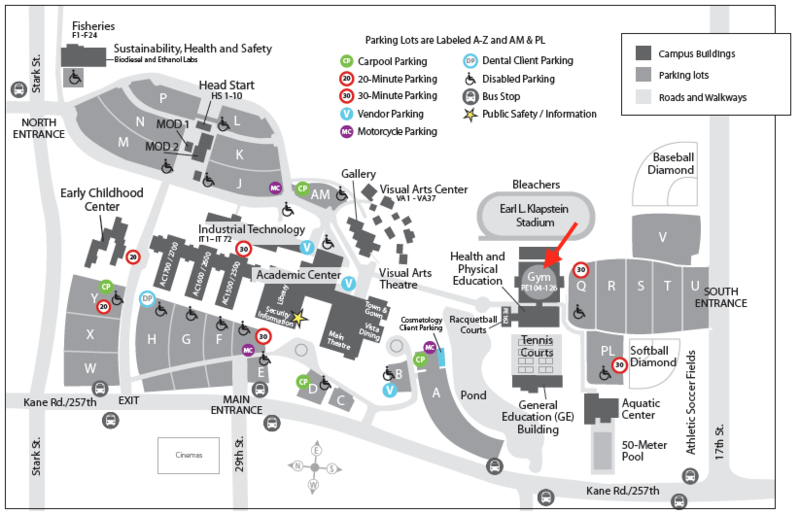 Parking: Free parking is available on campus.